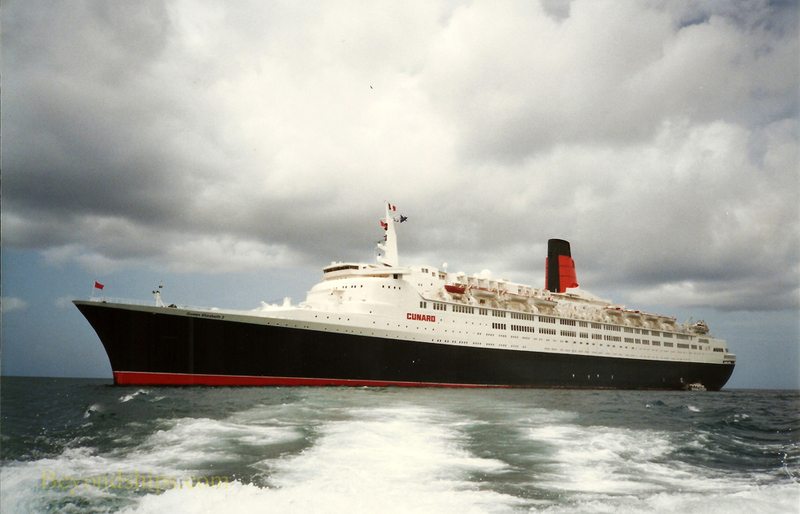 Above: The legendary Queen Elizabeth 2 tendering off Martinique in 1993. Martinique has seen a marked increase in cruise ship visits recently. Indeed, between 2010 and 2014, there was an increase of over 500 percent in cruise ship visits. 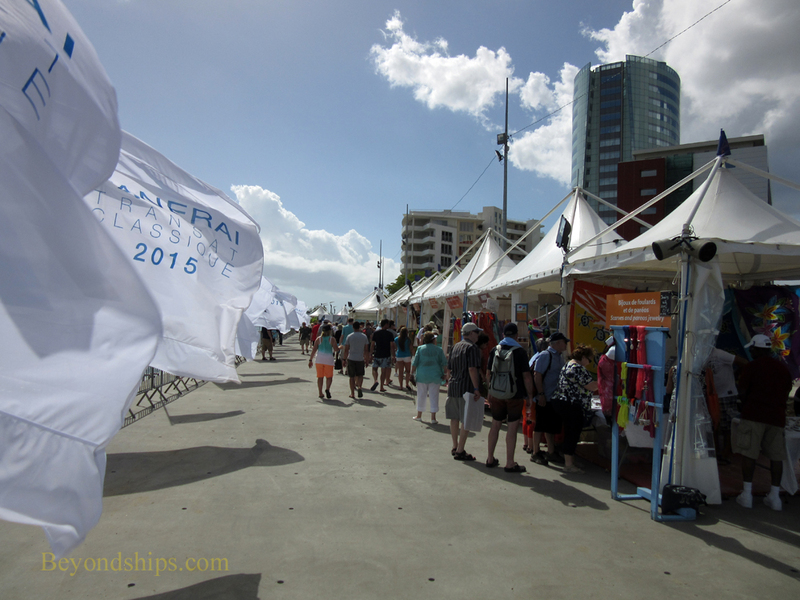 In 2015, the island expected to see 158 port calls by cruise ships bringing 218,000 cruise visitors. 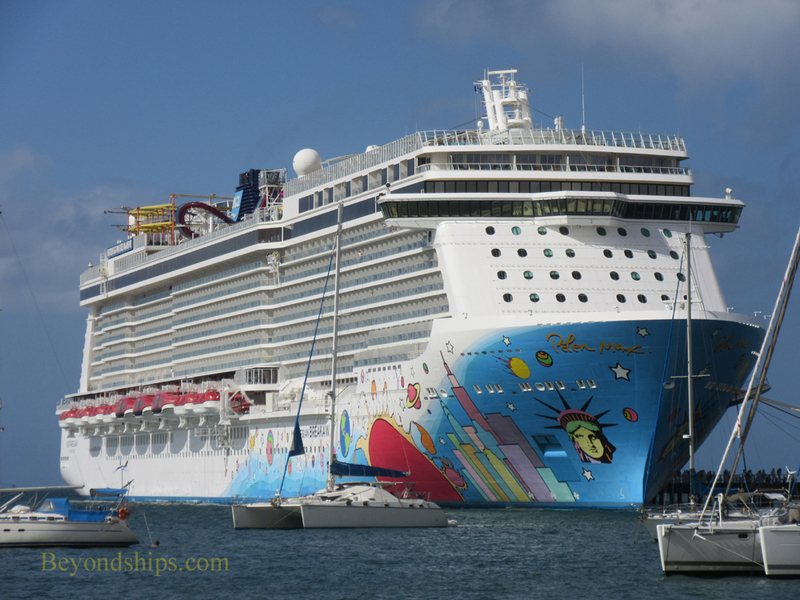 This increase is primarily due to a determined effort by locals to make Martinique more cruise ship friendly. 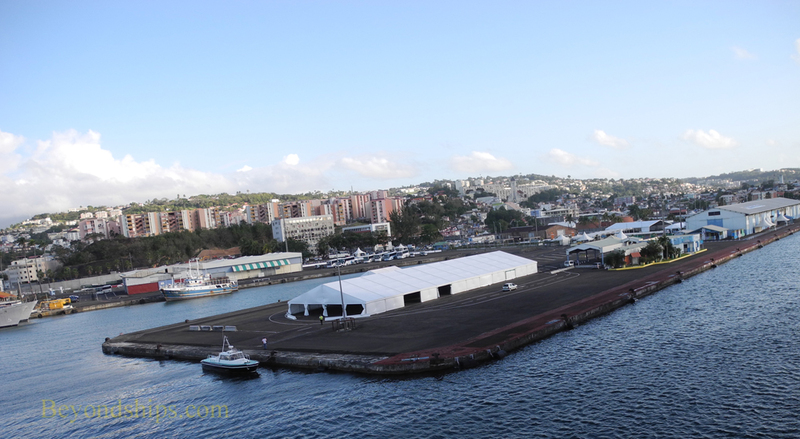 It included construction of new facilities as well as an effort to welcome cruise visitors. 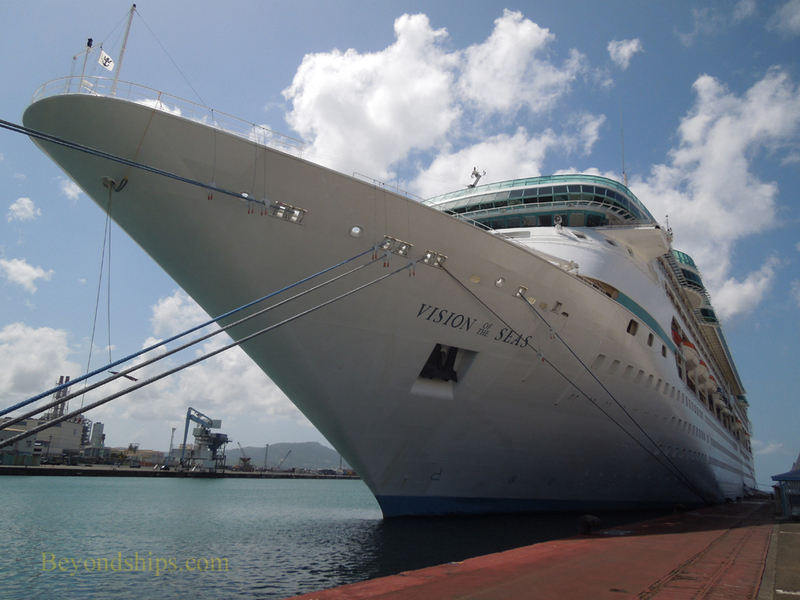 There are two cruise ship piers in Fort de France. 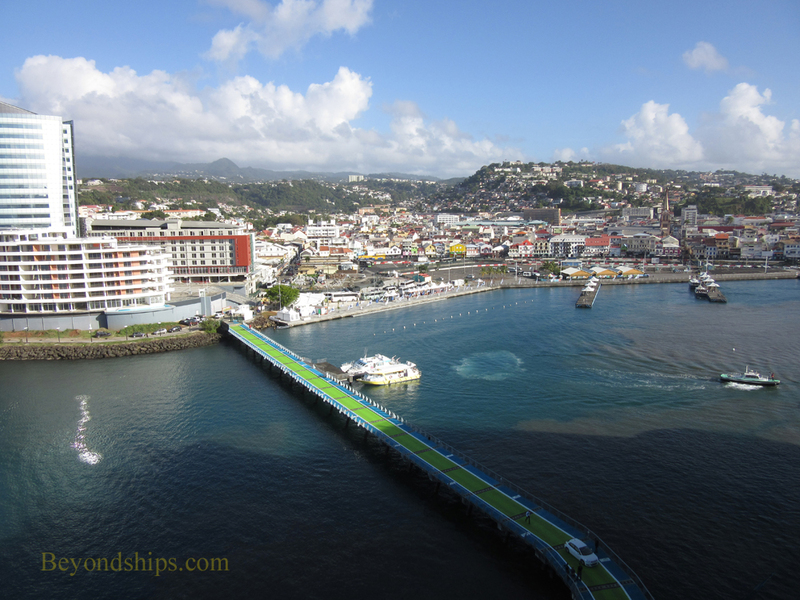 In addition, some cruise ships anchor in the bay and tender passengers into Fort de France. The Pointe Simon Cruise Terminal is a new facility. It is attached to a promenade along the seaside that leads directly into the heart of the town. Along the way are kiosks and tents offering crafts and souvenirs as well as tourist information. The Quai des Tourelles is also used as a cruise ship pier. It is not far from the center of town as the crow flies but it is separated from the town center by a navy base and Fort Saint Louis. However, the locals have marked the trail to the center of town so that visitors will not become lost when walking into the town center. Taxis are usually available at the cruise ports. By law, they are metered but have a reputation of being expensive. Public transportation in Martinique is limited. Fort de France has a large shopping area. Most of the shops, however, are targeted towards locals rather than cruise visitors. Until recently, most shops only accepted Euros and did not take credit cards. But as part of the effort to make Martinique more tourist friendly, more shops are accepting U.S. dollars. Look for a sign in the window indicating that the shop takes both Euros and dollars. Following the French custom, people entering a shop are expected to say “Bonjour.” Upon leaving, saying “merci” is considered polite. Above: The Pointe Simon Cruise Terminal, often just referred to as "The Cruise Terminal". 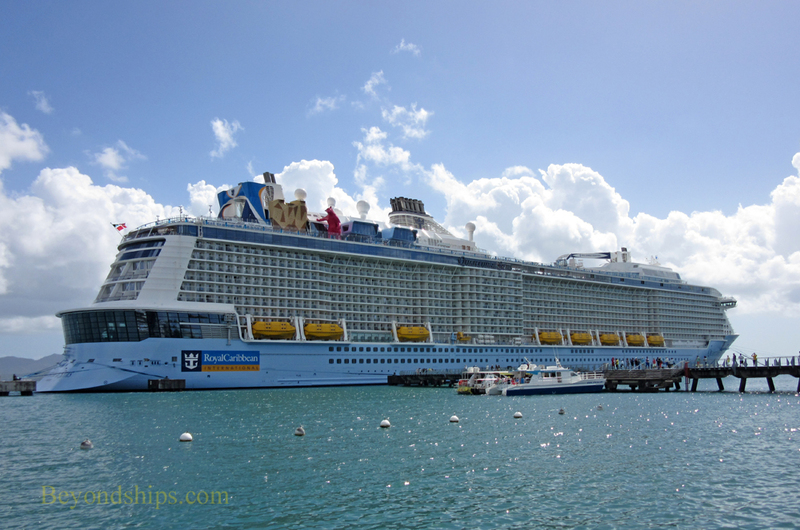 Below: Quantum of the Seas at the Pointe Simon pier. Above: A seaside promenade connects the Point Simon Cruise Terminal to the enter of Fort de France. Above left: Martinique's second cruise pier, the Quai des Tourelles. 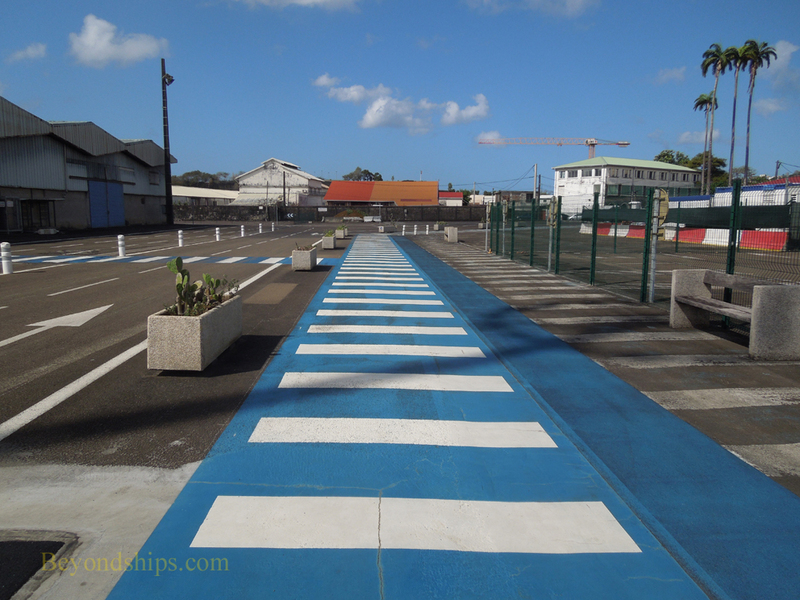 Left: A painted trail guides cruise visitors from this terminal into the center of Fort de France. Above: Vision of the Seas at the Quai des Tourelles. Below left: Norwegian Breakaway in Martinique. 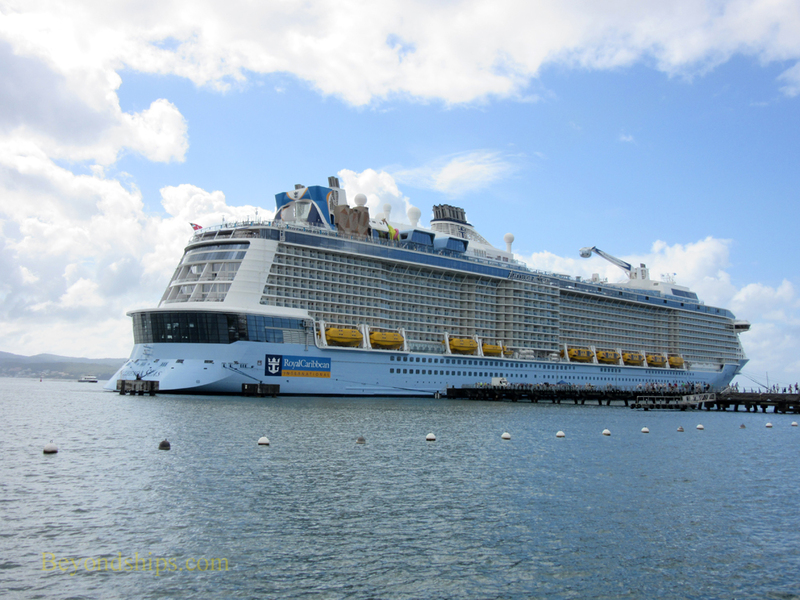 ​Below: Anthem of the Seas in Martinique.